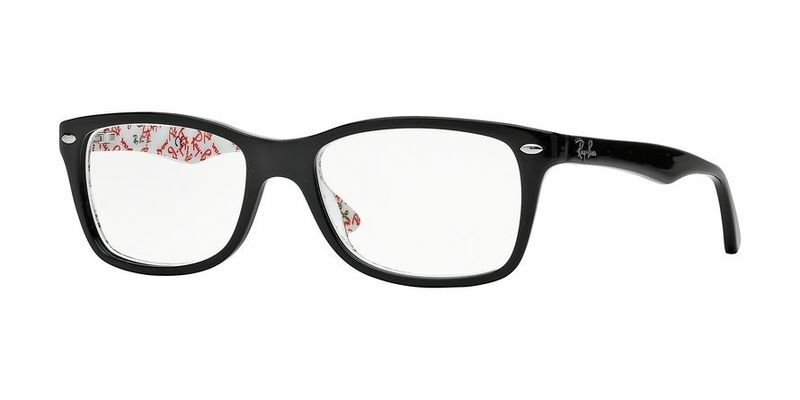 These stylish plastic Ray Ban RX5228 frames are affordable, functional and pleasing to the eye. You won't have to worry about hurting your pocket too much nor will you have to worry about them slipping and sliding off your face - they're the perfect answer for the busy working person. The thick fully rimmed frames are a real showstopper. You'll be able to let your personality shine through your eyewear with these unorthodox Ray Ban RX5228 eyewear frames. A pair of good quality square eyeglasses is what you need if you're looking to add more of a contrast to your softer facial curves. These classic square frames are simple and will give you a polished look. Leave your mark wherever you go, because this simple eyewear is bolder than you think - sometimes it's the simple things in life, and this goes for your eyewear as well. These popular high temple Ray Ban RX5228 glasses have been carefully designed to assist you in getting optimal unobstructed vision. I have purchased two pairs of frames on two separate occasions, and have been satisfied with both. So much so, in fact, that I just placed a 3rd order today. My only complaint would be the processing/delivery time, but overall I'm satisfied. Both frames were brand new and needed no adjustment when I had my prescription filled. Great product for half the price at any other vendor! I tried on a pair of these glasses at Target and loved them. I purchased them for nearly $100 cheaper through this company. I was concerned the lenses would be of less quality but so far so good. I would order through your site again. Product was good quality and as described on the site, customer service was helpful, and shipping was fast. I fell in love these frames at an optical store that did not participate in my optical insurance plan. I found these for half the retail price on your website. I placed my order on a Sunday and they were delivered to my door on Friday in perfect condition with a nice hardshell case. I have since told everybody I know who wears glasses about your site.